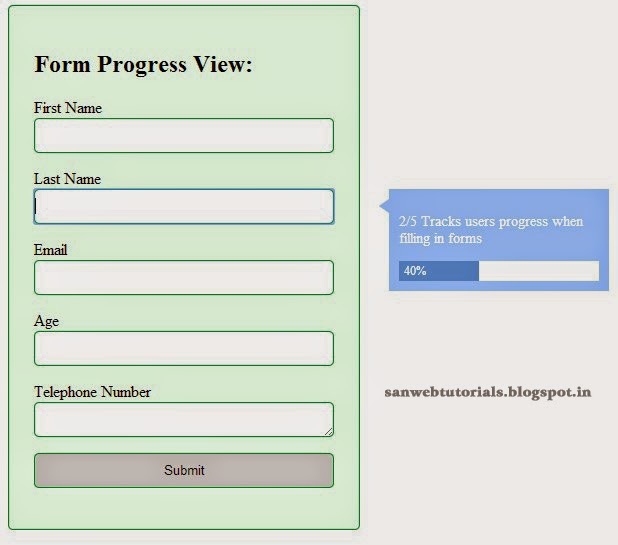 Hi , Now i am going to explain about create progress bar for form filling using html, css, jquery . This Progress bar is Really help for customer Easily know how much they completed form till now and how much remains. Progression.js is a jQuery plugin that shows tips about an active form field and also displays the progress (how much of the form is filled). It uses the data attributes for storing the tips, has options for customizing the tooltip and can be implemented into any form so easily.